Average 3.56/5 out of 310 total votes. "I AM GOTHAM" Chapter One No one has ever stopped the Caped Crusader. Not The Joker. Not Two-Face. Not even the entire Justice League. But how does Batman confront a new hero who wants to save the city from the Dark Knight? 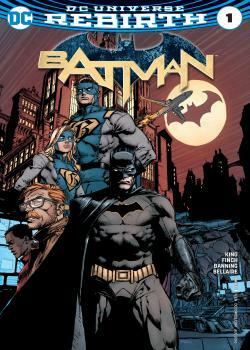 CAN'T MISS: Superstar artist David Finch returns to Batman alongside writer Tom King for this five-part storyline.